What a journey we’ve had together thus far, both ingame and in fitness. Thank you for all the memories we’ve been creating. Just before Fanfest two weeks ago, I completed a 12 week strength training program, and while I was very happy with the results in strength, I learned that strength doesn’t always look strong. These were five sets of five reps using max weight. Taking the image from the Roc Wieler – Day 0 post, and comparing it with a recent image to kick off this new program, it’s difficult to tell much of a difference, even though I assure you the difference is there. My nutritional program is the tightest ever devised. For the morning meal, it’s protein and carbs. The rest of my meals are protein and fat. All meals are mixed with vegetables. There will be no straying from it if I want the results. The Intermittent Fasting, though brutal, should help. Essentially, I fast for 16 hours per day, then cram all my meals into a 8 hour eating frenzy. On workout days, I will be eating approximately 2500 calories. On non-workout days, I will be eating a deficit around 1700 calories. I’m going to keep the details of the workouts to myself for now, but sufficient to say, the one I did this morning was harder than anything I’ve done to date. If I want to be Roc, I have to train like Roc. I’ll keep checking in every now and then on this, just for those that may be interested in the progress. Should I succeed, I’ll provide every detail as I’m tracking everything along the way. For those not interested, don’t worry. I have some fiction I’m working on coming soon. 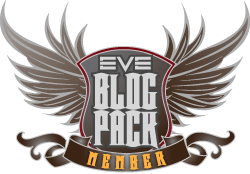 This entry was posted in Roc's Ramblings and tagged EVE Online, fitness, Roc Wieler. Bookmark the permalink. All joking aside, the reason why there not much difference between pictures (besides switching pijama pants to fashionable jeans) is because your BMI is too high so not much muscle definition is visible under all that healthy glow. Maybe you should try to go on a diet and lose some poundage before building more visible muscles. Look at Roc pic (from game) and tell me how much he weights, probably 50lbs less than Roc in real life. Weight loss is the best way to reset the body into whatever mode you need. I am speaking from personal experience, because you can always gain more muscle, but no strength workout is a substitue for fat cutting and nutrition. Hence the strict nutrition plan I’ve built and will adhere to. Not BMI, but fat percentage. My muscle percentage has gone up by almost 12% in three months, but my fat percentage hasn’t significantly lowered. Definitely something I factored into this new program. Fasting for 16 hours? That sounds more like starving than nutrition. From what i know eating small meals every 2 hours during the day, keeping your calories and carbs super low is the easiest way to lose weight. I am sure you know that too, so the new plan that you just described does sound a little too extreme and off the beatn path… but I am not a fitness expert, so good luck and hope it will work for you. I think your mistaken on supposing strength workouts do not help in weight loss, as the more muscle you have, the more fat you burn even on idle – to say nothing of how much you burn in an intense bulk up routine. Roc, try to stick to a 6 rep minimum 10 rep max on all upper body muscles sans abdominals (20 on legs, but be careful). If you can reach 11, you need to step it up; if you can’t hit 5, you are probably sacrificing form and pressure. You don’t want a tired burn, you want a “muscle is stretching your skin” burn. And the only way to get that is either tone up or bulk and THEN lose weight. The first will benefit your muscle definition, strength, and recovery. I’m fasting right now on a meal a day, and even though you’ll feel healthier/cleaner, this will hurt your muscle gains. Try to ay least supplement pre and post with something fast absorbing. Squats are easy: they always hurt. Leg curls are a no brained, but leg extensions could get old real fast. I’ve stuck with a sit down machine (right after squats) with something I can’t do more than 30 reps of as fast as I can and with a bounce (form doesn’t matter here, just find the right weight). First ten extend fully with a 2 second hold, next 10 as fast and clumsy as the setup reps, just don’t cheat on the full rise, 3rs and last 10 again full extensions with a killer 2 sec hold. Make sure you squeeze those last ones. My legs gained 4 inches in a single summer with these, and it kept the quads sets from getting boring/scary. Try to keep them at 3 sets per station. You guys have no idea how happy I am to see you spitting back all this info at me. – yes, intermittent fasting is extreme, but can work. Not starvation. It’s a kickstart. 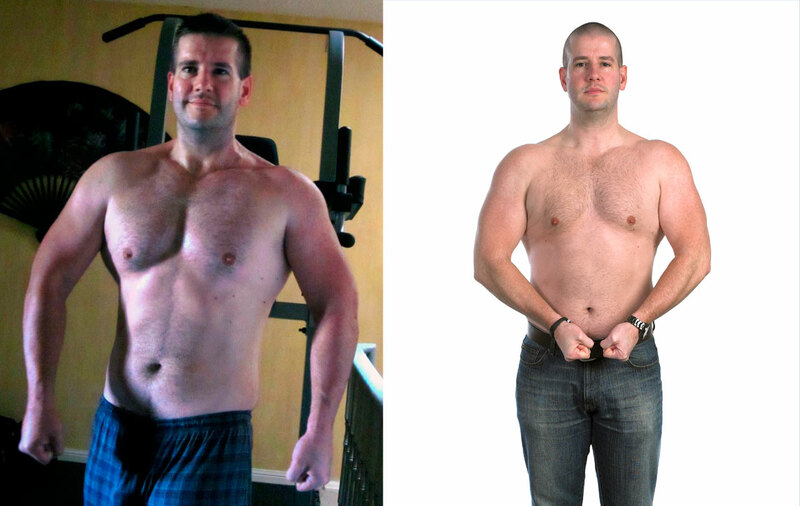 – yes, I’m aware of how strength training can work, see the results of my 12 weeks above. If I’m honest, it’s the nutrition. I eat well. I eat healthy. I also am not disciplined enough and it shows. That’s the bottom line. I know I have the ability to do it, so I’m doing it right this time. Thanks for all the support and encouragement. I agree. 1 meal a day is not starving at all. Your body just changes into a different phase and your stomach does what it was intended to: store food. You’ll have a little stomach acid mess with you at the intervals your body has acclimated to as to when it expects food, but 2 days of that and your body will adjust and hunger will mostly be psychological. 🙂 These are the bulk versions of spiritual work-outs. Cardio is what helped me lose all my weight as a teenager, but I think you’ll find it very trying to attempt cardio with limited fuel. It gave me a few close calls of swooning, and depression sets in during a workout, as I could find the energy to get through it and still call it a good workout. But everyone is different. Good luck, Roc.